Supplements, boosters, homeopathic remedies, and all-natural herbal products all promise to increase Low T levels; so it is not surprising that many people still have to ask what supplements should I take with testosterone therapy? Obviously, the terminology that is used to describe to both prescription and over-the-counter testosterone replacement products can often be a source of confusion to adults who are afflicted by the symptoms of Low T.
In the clinical terminology of the medical community, testosterone supplementation strictly refers to the use of pharmaceutically bioengineered testosterone (taken by injection, topically or subcutaneously) to increase a patient’s significantly deficient hormone level. But in the marketing jargon used by companies that sell products described as non-medical testosterone boosters, increasers and the like, the term supplement is used very generically and rarely accurately. It’s therefore not really surprising that many adults aren’t sure what to believe about how to increase their testosterone levels and eliminate their Low T symptoms. However, you can believe this: Only the medically prescribed treatment options that we mentioned above – the injections, patches, gels and pellets that require an explicit and valid doctor’s prescription to purchase and us – have ever been proven to effectively increase anyone’s testosterone supply. So getting a direct and factual answer when you ask what supplements should I take with testosterone therapy will depend upon exactly what you mean by the word “supplements.” Many patients might mean should they supplement their treatment with vitamins or other nutritional products, while others might be referring to other prescription medications. The wisest advice we can give to all patients is to tell your doctor exactly what you mean, because the best way to get a clear answer to any question is to ask it very clearly. What Are Considered To Be Low HGH levels? Does Doctor Prescribed Testosterone Cypionate Use Supplements? Testosterone cypionate is the term for one of the most commonly prescribed forms of injectable male hormone replacement treatment. These injections have also been prescribed for women with certain types of breast cancer as well as to stimulate puberty in young male patients afflicted by the delayed onset of puberty. From the viewpoint of the doctors who prescribe these injections, they are the testosterone supplement and no additional medication is typically going to be prescribed for their patients. However, doctors know that a substantial number of adult male patients with Low T have also developed other hormonal imbalances such as human growth hormone deficiency and it is possible that someone asking what should I take with testosterone therapy might be referring to the additional use of HGH injections. Specific hormone blood testing ordered by the physician can usually provide the answer to that. But as far as taking so-called male hormone boosters in the form of oral sprays, herbal supplements, or some other non-prescription formulary, either by themselves or in addition to using a medically prescribed program of testosterone cypionate injections, save your money. There has been no clinical evidence produced that supports their effectiveness – and the use of a correctly prescribed and administered regimen of injectable treatments will usually produce the desired results. Are There Any Testosterone Supplements That Will Build Muscle? Your body’s available testosterone supply is what helps to build and support healthy muscles and when it stops producing an adequate supply of this critical hormone, your muscle tone and mass can be one of the first things to decline. This is what undoubtedly causes many men with Low T to ask what supplements should I take with testosterone therapy to encourage the rebuilding and toning of my muscles? This particular area of confusion has its roots in the bodybuilding industry, which has seen a great deal of illicit and illegal testosterone use over the years. But you don’t have to be a professional bodybuilder to want a healthier and more defined physique and this is where it seems that everyone has jumped on the bandwagon when it comes to products and regimens that promise to dramatically increase the size and definition of your body’s muscles. Increasing low testosterone levels does encourage the rebuilding of muscle mass; but this should not be confused with the concept of excessively increasing normal male hormone levels in order to gain abnormally large muscles. Furthermore, clinical research has indicated that introducing and sustaining excessive amounts of testosterone into your endocrine system can lead to some very serious health issues. From oatmeal extracts to a variety of plant extracts and practically anything that marketing gurus can come up with, you can find hundreds of self-proclaimed testosterone boosting products being sold in nutrition centers and online. Proceed carefully and at your own risk if you decide to purchase and use them rather than seeking medical treatment for your Low T symptoms. Getting the Facts About Testosterone Therapy Supplements. Your ongoing health and wellness deserve to be treated honestly and respectfully; so go straight to the source when you want to know what supplements should I take with testosterone therapy. 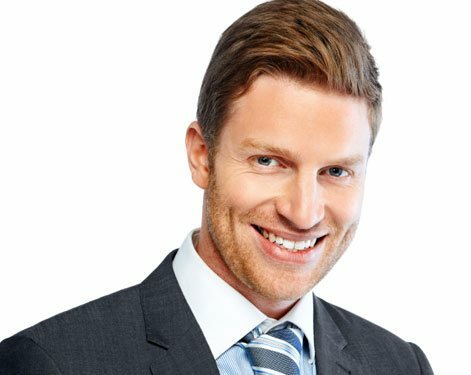 In this case, your best source for factual and current information is the medical professionals who have extensive clinical training and experience in treating Low T.
You’ll find out how making positive changes to your diet and exercise routines can support your hormonal health, especially when combined with a medically supervised program of testosterone replacement therapy. You’ll learn how certain hormones support each other’s healthy function, as is the case with your body’s human growth hormone and testosterone supplies. You will also be able to ask any questions you have about the possible risks and benefits of the supplements and boosters you’ve seen advertised – and at Nexel Medical, you can be sure that you will get clear and correct answers. It’s your choice. You can either experiment on your own body and gamble with your own health, or you can go straight to a respected hormone replacement therapy provider like Nexel Medical and get the scientifically proven facts on using doctor prescribed testosterone supplementation. Maybe some of those over the counter products won’t cause direct harm to your health … and perhaps some of them could. But the real harm comes from allowing your testosterone deficiency to go untreated by the medically proven solution that will actually reverse your symptoms while restoring your virility and vitality. That solution is what the doctors at Nexel Medical can prescribe for you.